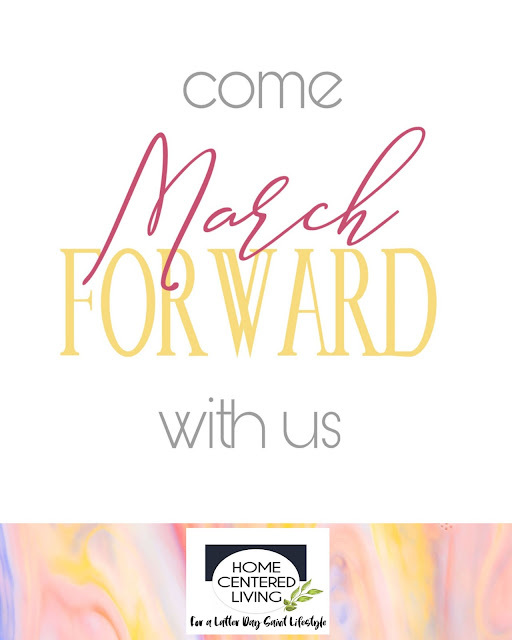 We are inviting you, yes, you...to join us here at Home Centered Living on our quest to March Forward! What does that mean exactly? Well- let us tell you- it's a bit of a back story- but here's our 'short version'. 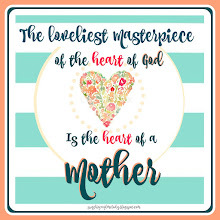 March happens to be a month where we remember and celebrate birthday's of two heavenly angels we have known in our lives. A sister named Natalie (Natty) to one of us, and a Mother named Suzanne (Suzie) to the other. Not only are both these women angels in Heaven now, but were both angel's in their own right here on this earth. Five years ago- Candy got news that her mother had Terminal Brain Cancer and her best friend, Shelby, had Breast Cancer. Candy's mom, Suzanne, passed away less than 2 months after her brain tumor removal. A few short months after that, Shelby was nearing the end of her year long battle to conquer her cancer. With in a week of her last Radiation treatment, her dear sister Natalie was diagnosed with stage 4 Colon Cancer. While Shelby is now Cancer free going on 5 years (Wahoo!!) Natalie peacefully passed away 20 months ago. SO- with a few years of perspective on the trauma and learning to live through the grief of losing such dear women in our lives- we have found one of the ways to celebrate who they were and what they taught us both, is to continue Marching Forward in this beautiful messy life we live!! 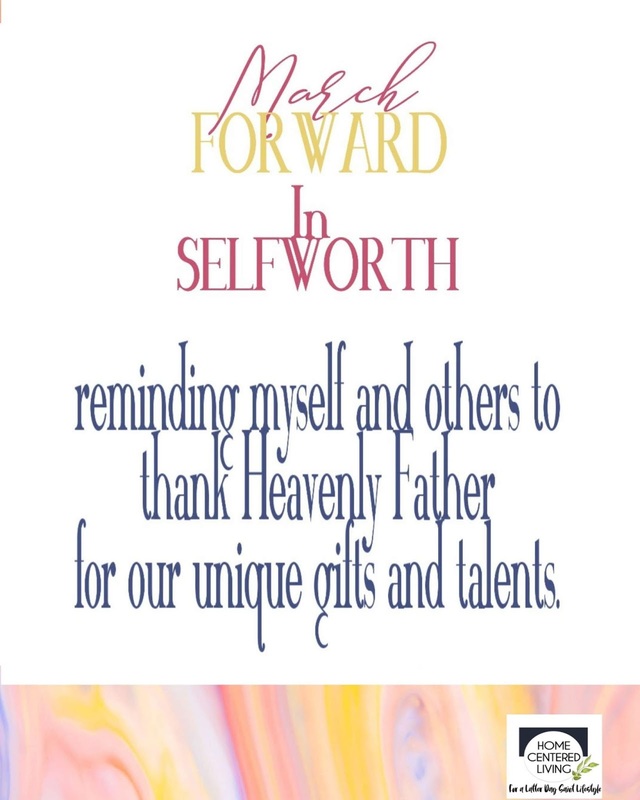 As we journey upward and onward through our faith in Christ and His matchless gift of the Attonement- we know we cannot allow our faith to become stagnant. We know we must exercise our muscle of faith for it not to atrophy. So today we are candid. 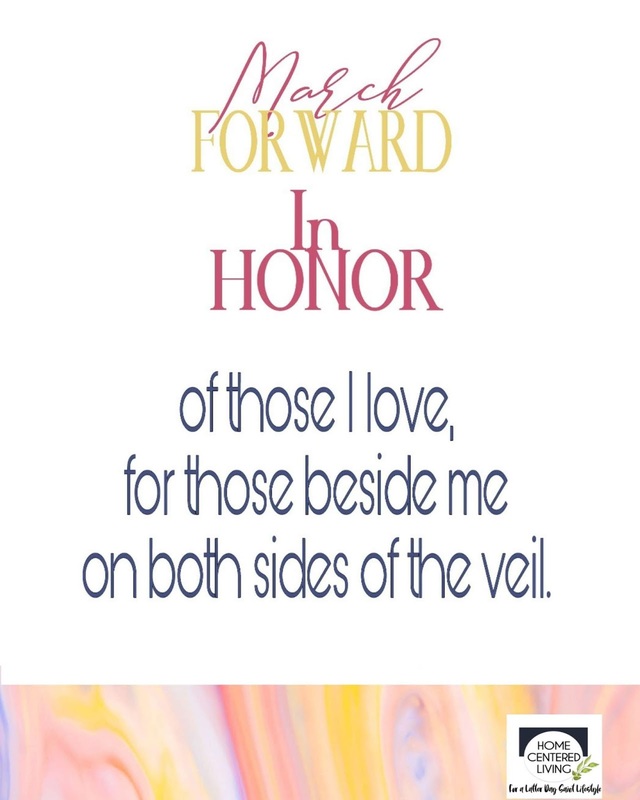 We are two life long friends, sisters at heart, vulnerable in growth and renewal, as any of us who have delved through the valleys of trauma, we know when we look up- the mountains are high! But OH! The drive to climb them returns and onward and upward we strive or we die. So today we keep climbing. One step at a time. We are conquering small peaks, while we rest along the way to catch our breath. Or simply to enjoy the view. 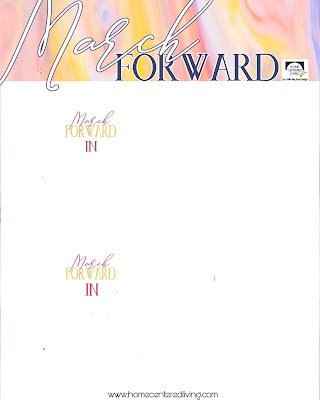 We continue...continue to March Forward. 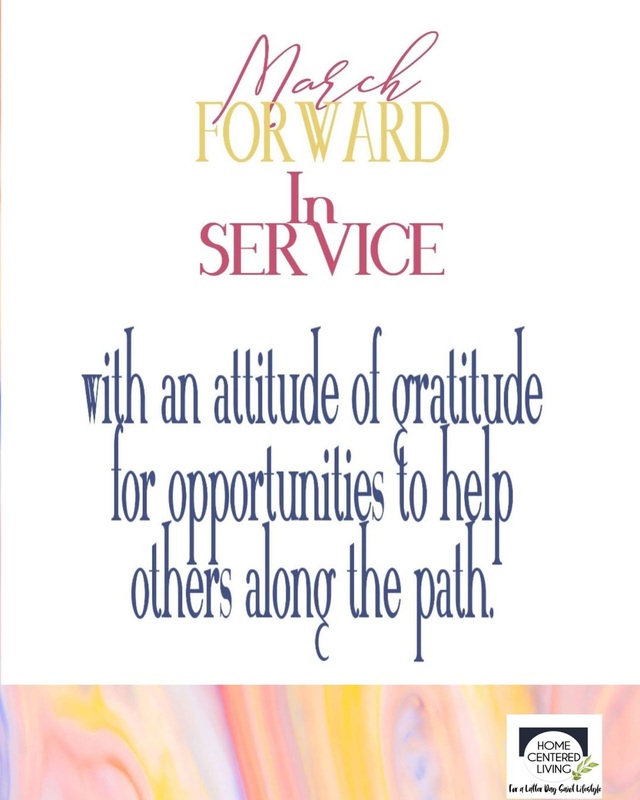 We have so much to give and are ready to share our journeys. Hopefully this gives you an insight to a bit of the content we will share from time to time. 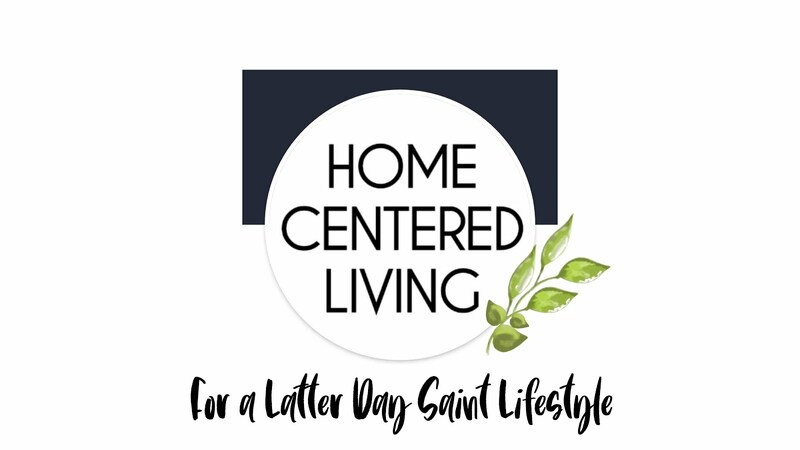 Sometimes heavy- sometimes lighthearted, but always always always wanting to celebrate life and love while staying firmly on the path toward heaven. Finally- the invite. (If you're still here.) The challenge if you will is to think of 2 ways you can improve your light. Improve sharing it with others. For us we do this for Natalie and Suzanne. We think what they would be doing and how they would share their love and light if they were still here. 1. 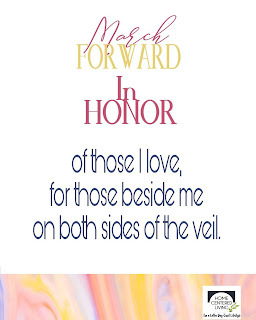 MARCH FORWARD in HONOR of those I love, for those beside me on both sides of the veil. 2. 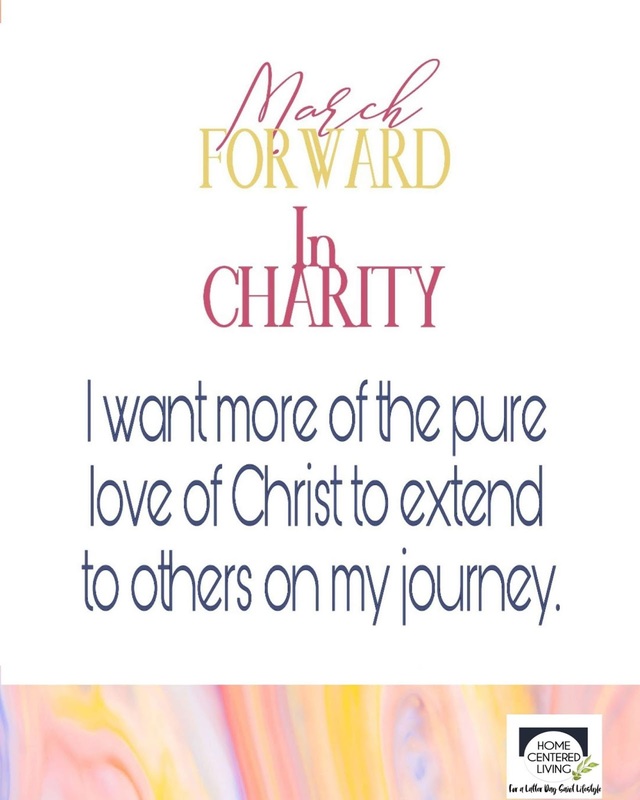 MARCH FORWARD in CHARITY. 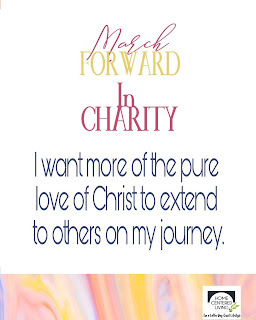 I want more of the pure love of Christ to extend to others on my journey. 3. 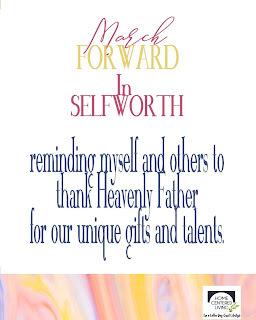 MARCH FORWARD in SELFWORTH to remind myself and others to thank Heavenly Father for our unique gifts and talents. 4. 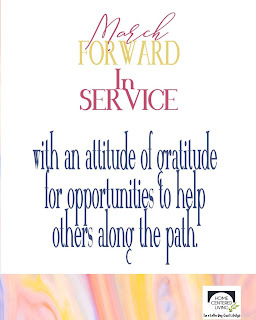 MARCH FORWARD in SERVICE with an attitude of gratitude for the opportunities to help others along the path. 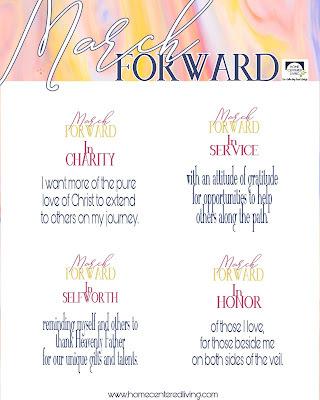 What are YOU going to focus on as you MARCH FOWARD this year?! Here is a printable sheet for you to use. Isn't it bright and cute?! 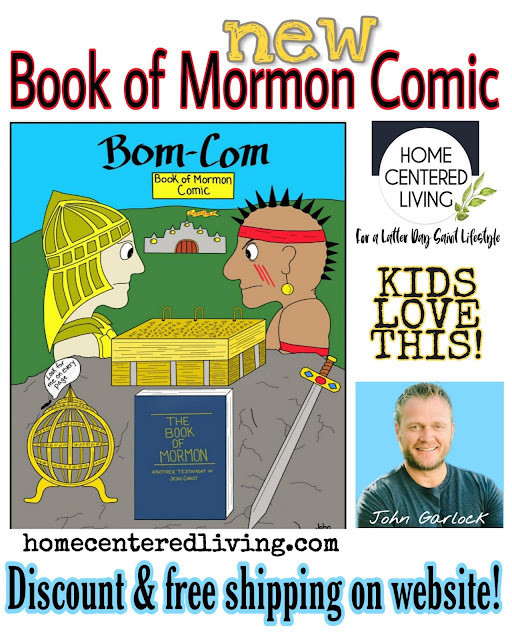 Just right click on the image and select copy or download image to your electronic device to print. 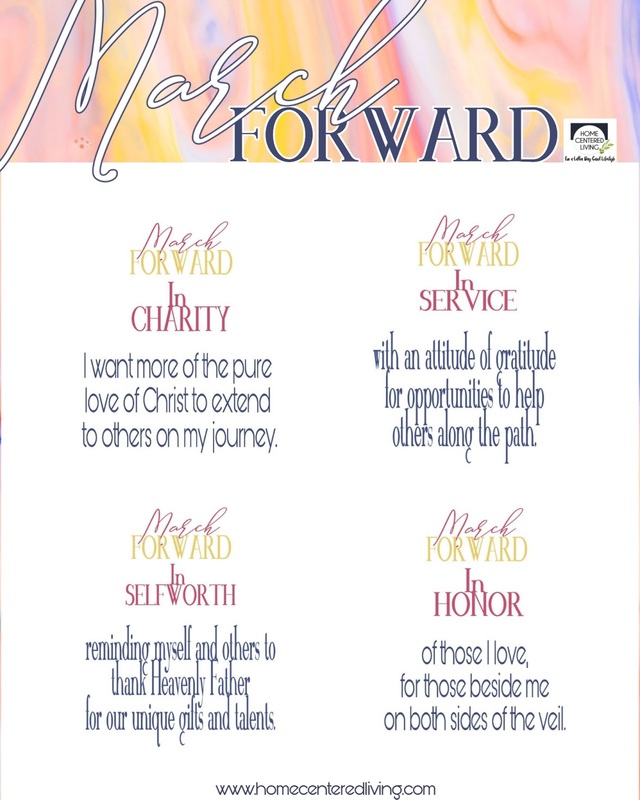 Also below are other printables with our personal March Forward commitments this year if you would like to join us with those.